Patna is one of the oldest inhabited places in the world and present day Patna is located on the southern bank of the Ganges. Patna is the capital city of the state of Bihar and was formerly known as Pataliputra, which was the capital of the Mauryan Empire. The name Patna is said to have been derived from Patan which happens to be the name of a Hindu Goddess Patan devi. Patna is now a renowned name in the tourism industry and is an important place of tourist interest housing lots of attractions that reflect its glorious past. There are many tourist attractions in Patna that are visited by scores of tourists all the year round. The rich culture and heritage of Patna is evident from the innumerable ancient monuments that are dotted all over the town. Patna is also an important stopover for the pilgrims since it is home to several holy places such as Hanuman Mandir, Takht Shri Harmandir Saheb and Begum Hajjam's mosque. The other major attractions of Patna city in Bihar include the State Secretariat Building, Patna Planetorium, Golghar, Patna Museum, Zoological and Botanical garden and Padri Ki Haveli. You just cannot miss out simple yet delicious cuisine of Patna and Khichdi which is the broth of rice and lentils and is preferred by the people with some of its accompaniments such as curd, chutney, pickles, papads, ghee (clarified butter) and chokha. Being one of the major tourist attractions in the state of Bihar, Patna offers lots of lodging options for the tourists dropping in here. There is a five star and a four star hotel in Patna that are the leading ones in terms of quality services coupled with modern range of facilities. These are namely Hotel Maurya and Hotel Chanakya. The major three star hotels in Patna are Hotel Pataliputra Ashok, Hotel Republic, Hotel Samrat International and Hotel Satkar International. Among the budget hotels you can choose from Avantee Hotel, Hotel 5 Diamond, Hotel Apsara and Hotel Daichi. Patna is also an important transit point of Bihar for the tourists dropping in from the other states of India. Patna is well-connected by air, rail and road transport and if you are traveling by air, you will have to land in Patna. The major cities of India such as Delhi, Mumbai and Kolkata are well-linked by air with Patna. Patna is also the major railway station for the tourists and it connects the other towns of India such as Kolkata, Delhi, Varanasi, Siliguri quite easily. The road transport is also smooth and quite efficient thus making road access to Patna quite convenient. The impressive and varied tourist attractions ensure that you will definitely have a gratifying tour to Patna and you will gather some of the most cherished moments during your sojourn here. 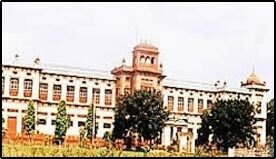 Know more about Patna by clicking on to the site touristplacesinindia.com, which offers valuable travel information on Patna.